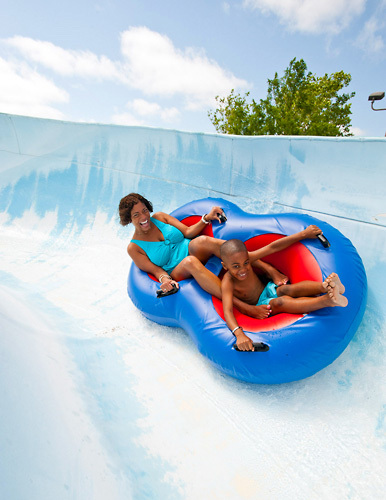 Offering over 2 million gallons of fun, Silver Dollar City’s White Water features a variety of tropical-themed attractions for guests of all ages. 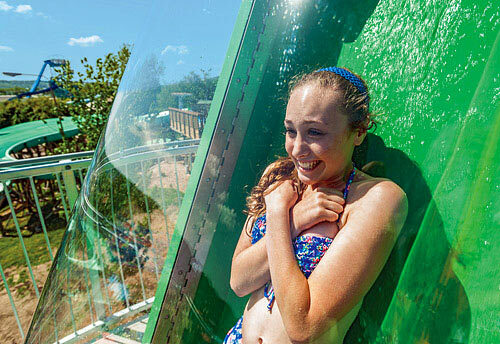 The 13-acre has nearly 7,000 feet of slides, including the seven-story Kalani Towers and the dueling drop slides of KaPau Plummet. 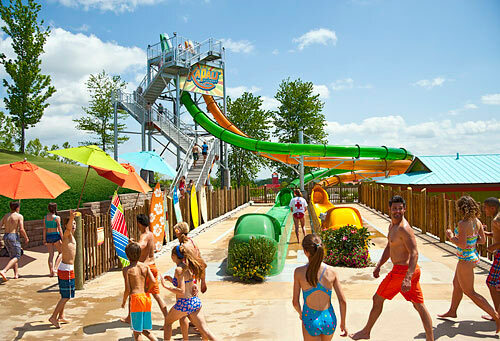 There are also a variety of rides and attractions, like a 500,000-gallon wave pool, 800-foot lazy river and to the interactive play area Coconut Cove. Get there early for the best chairs. Remember water shoes as the pavement does get hot. Bring extra cash for locker rentals, food, and beverages for purchase. 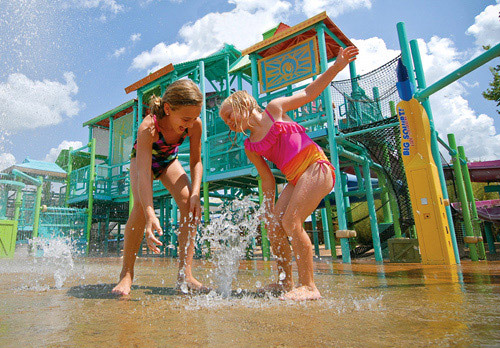 Coolers and outside food/beverages are not permitted inside the water park. 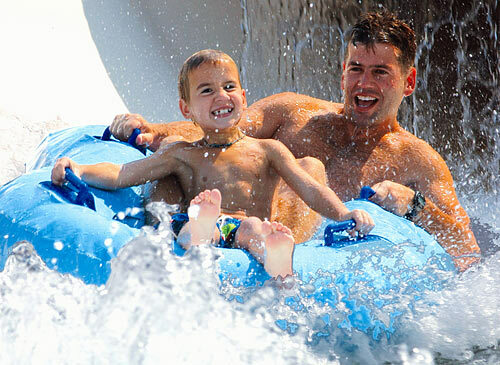 This wet and wonderful Branson water park features 2 million gallons of fun and 13 acres of water rides and attractions, from riveting to relaxing. 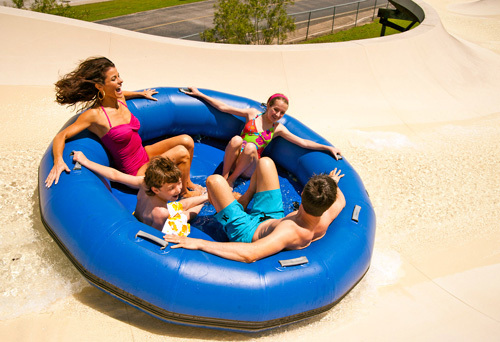 The whole family can enjoy the tides of the 500,000-gallon Surf's Up Wave Pool, the gentle flow of the Aloha River or the family-friendly fun at Splashaway Cay and Coconut Cove. 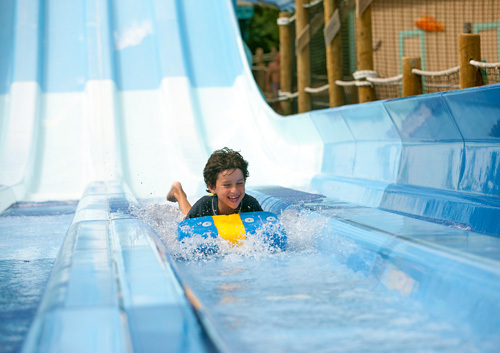 Braver visitors can test themselves on the other White Water park rides, such as the speed slides of Kalani Towers or KaPau Plummet, a heart-pounding thrill slide with a 240-foot, 70-degree plunge followed by a spiraling loop to splashdown! May I bring a cooler or food items into the park? Coolers or food items are not allowed to be brought into the park, but there is a picnic area located immediately outside the ticket booth (park entrance) where guests can enjoy their brought-from-home-refreshments. No alcohol or glass will be permitted in the picnic area. 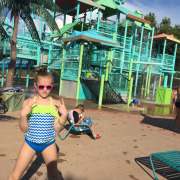 If I go to the water park after 3:00 pm can I still get the next day free on a one day ticket? Yes. 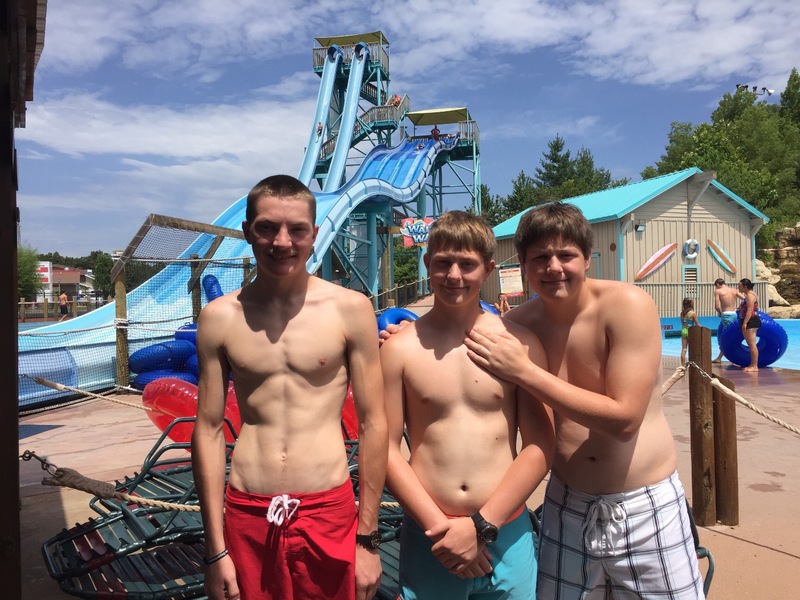 If you arrive at White Water after 3:00 pm on your first day, you go the next day for a full day. 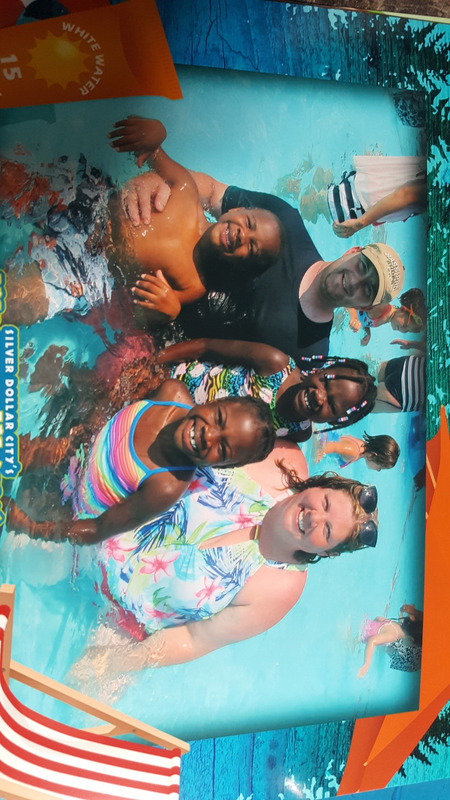 Life jackets are provided (no charge) for small children and non-swimmers. Is food available for purchase at the park? Yes, there is a great selection of foods and snacks at several locations at the park. Pizza, salads, sub-sandwiches and cheeseburgers are just a few of the entrée selections. Ice cream, slushie drinks, pretzels, nachos, and Kid's meals are all available. And don't forget the ice cold drinks! Gluten free options are also available for purchase. Are there changing rooms, showers, and lockers available? Yes. Changing rooms and showers are on site. Lockers are available to rent for $6.00. In addition to the rental fee, a $10.00 refundable deposit is required. Family lockers are available to rent for $15.00. Is smoking allowed in the park? We have designated smoking areas. Please ask for specific information at the front-gate regarding designated smoking areas. 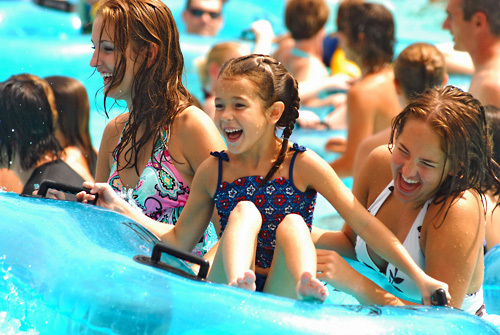 Tubes are provided for all rides and are available at no extra charge. I forgot my bathing suit, do you have suits for sale? There is a large selection of name brand merchandise which includes men's, women's and children's suits, cover-ups and t-shirts. There is also a wide variety of hats, sunglasses, sunscreen, and souvenir items. Do you sell beach towels? Yes, beach towels are sold in the Surfside Trading Company. You may bring flotation devices, within these guidelines. 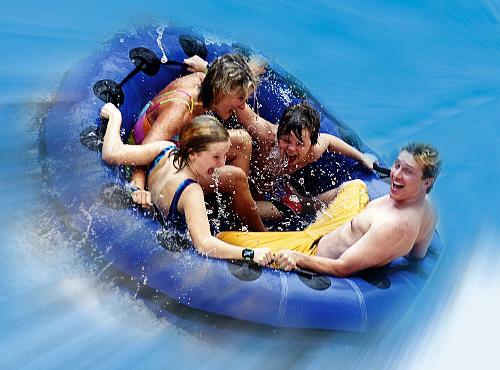 No conventional or automobile inner tubes are allowed. 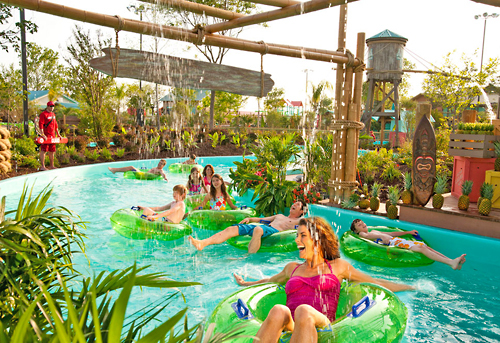 No Styrofoam flotation devices, No double rafts, or one-person flotation rafts are allowed in Coconut Cove, Splashaway Cay, Surf's Up Wave Pool and the Aloha River at Hula Hula Bay. No flotation devices over 6 feet in length. Are alcoholic beverages sold or allowed to be consumed in the park? 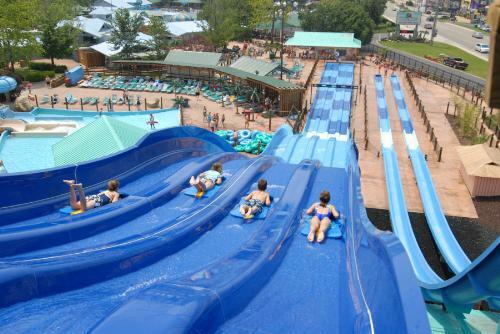 May my 15-year-old stay at the park while I shop at the Branson malls? All children under 16 years of age must be accompanied by an adult. Children under 18 years of age need to be able to reach their parents/guardians in case of medical issues/emergencies. No pets are allowed on premises except for those that assist disabled guests. 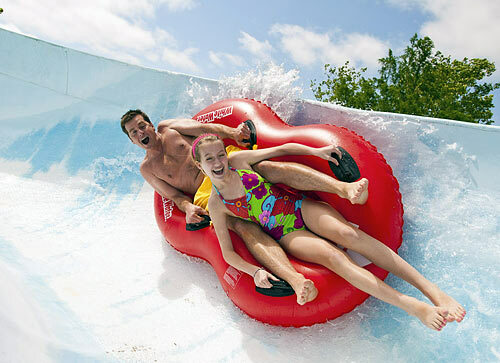 What is the dress code for White Water? All guests participating in pools and attractions must be wearing appropriate swimwear. 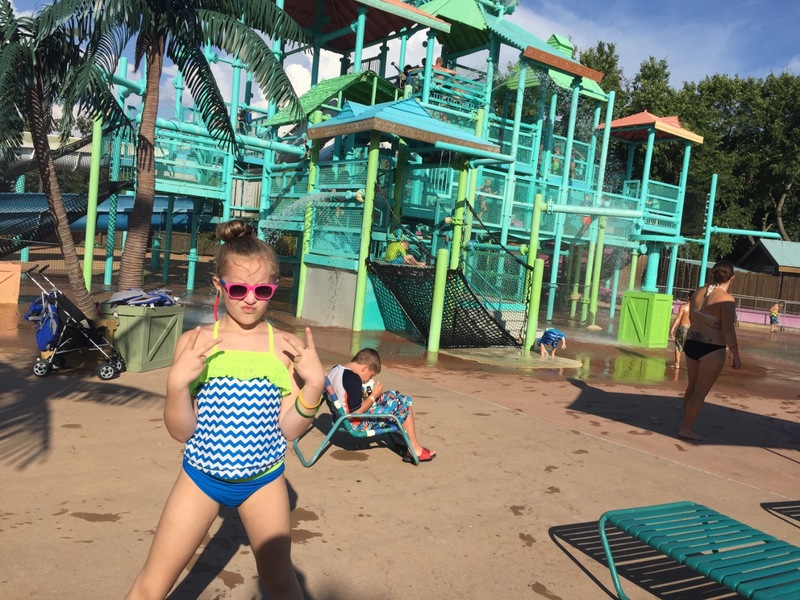 Swimwear may not have buckles, rivets, protruding metal or sharp objects. 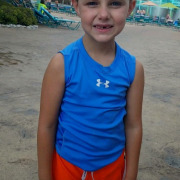 Corduroy, cutoffs or denim swimwear are not allowed. 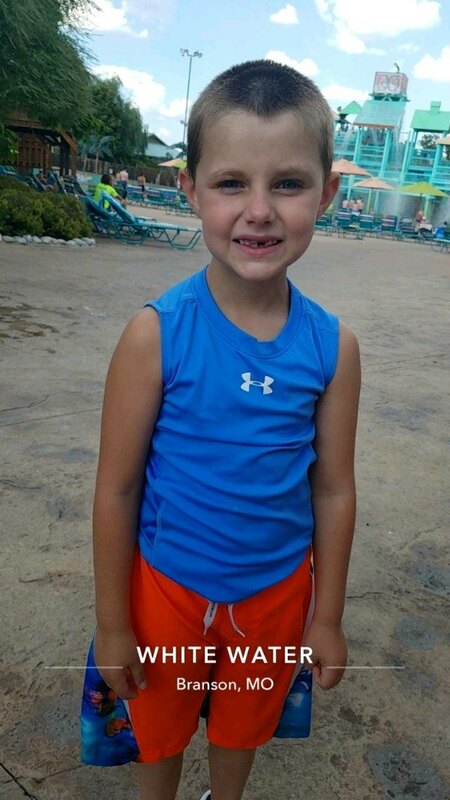 Cotton shirts are not permitted on any body slides (no exceptions). Body piercings that come in direct contact with the slides are not permitted. 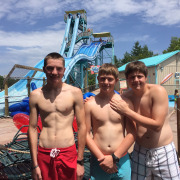 White Water is a family park and as such, thong swimsuits and shirts with profanity are not permitted. Inappropriate tattoos must be covered.